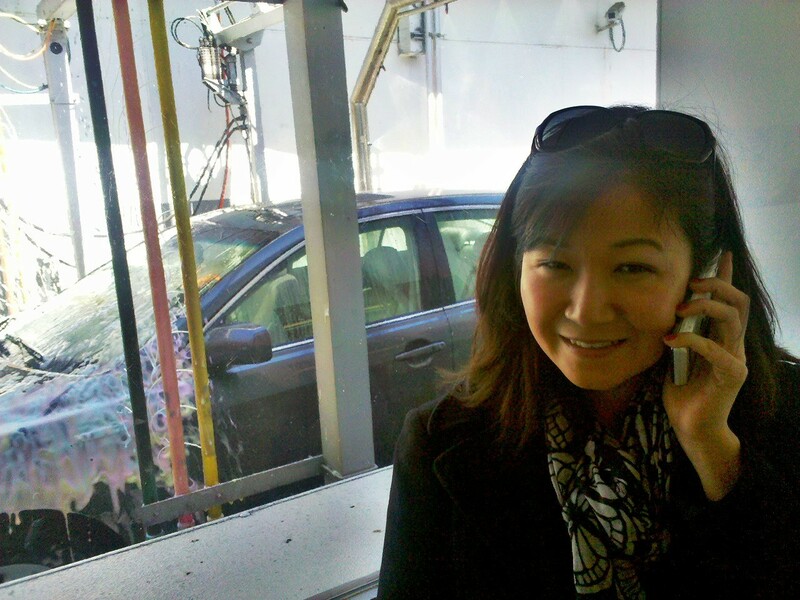 Time for the “end of the snowboarding season” car wash. Laura showed me a different place than I normally go, despite my skepticism, it turned out to be pretty decent. There’s nothing like a good old-fashioned car wash. Now some people might argue that there is nothing “old fashionend” about having a robot tunnel automatically clean a gas-electric hybrid car, but to those people I say, it’s 2011. It became the future in 2005, so now all kinds of technology is old fashioned. If you think that’s crazy, just wait four more years till 2015 when, according to “Back to the Future II”, we’ll all have flying cars!